Those dancefloor boffins at Ministry Of Sound HQ have done it again, revealing details for the incredible ninth edition of their celebrated ‘Sessions’ collections. To be released early next month, the new installment is cooked to perfection by Messrs Timmy Trumpet and Tom Piper, who’ve given their all in remixing the two disc opus into a palatable serving of delicious dancefloor delight. The first disc, mixed by Timmy, contains tracks from the likes of Richard Vission, Tonite Only, Afrojack, Ivan Gough’s latest club stomper ‘In My Mind’, Pnau, M83, Alex Gaudino and more. Disc two, with Master Piper on the decks, features Martin Solveig, Laidback Luke, Knife Party, Tommy Trash, Miike Snow, Adrian Lux, The Presets and more. 45 stomping anthems across two CDs. Full tracklist is in the comments section below. 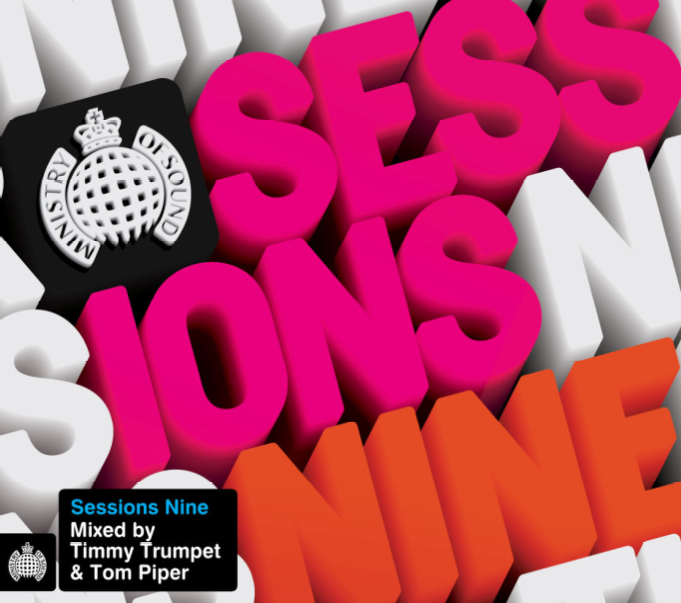 Ministry Of Sound’s ‘Sessions Nine’ hits retail on Friday July 06.